Superdry women's Supersoft sweat dress. 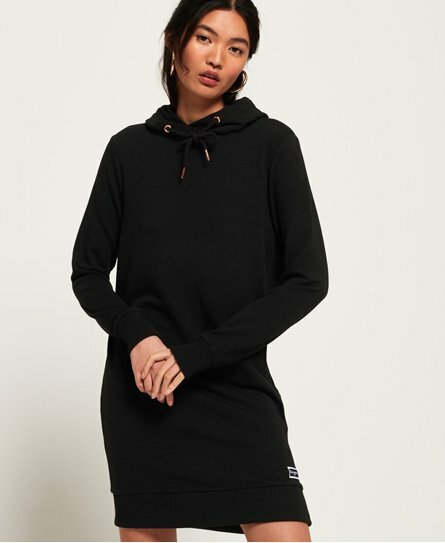 This sweat dress has been designed with your comfort in mind featuring a drawstring adjustable hood and ribbed cuffs and hem.The Supersoft sweat dress is completed with a Superdry logo badge above the hem. This lightweight, super soft dress will look great styled with trainers and a leather jacket.